Essay Question: What has demonstrated the need for diversity to you? Colin Diver tells about his experience attacking a mugger and how it affected his views on diversity and community. Was he right for defending a woman against a poor, brown-skinned criminal? Or was he inflicting his white, upper-middle class beliefs on his now multi-cultural South Boston neighborhood? Diver tells his story story in an essay for the Wall Street Journal. Colin Diver is an attorney who held several positions in Massachusetts government, including special counsel to former Boston mayor Kevin White. 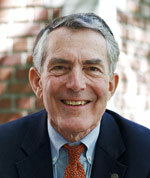 He is the former Dean of the University of Pennsylvania Law School and current president of Reed College.